Here we have a bourbon that I have made fun of every time I walked though the bourbon section of Total Wine. I mean it’s hard not to. Stuff like that. But in my never ending quest to find bourbon diamonds in the rough, I finally decided to take the leap and buy it. Before I did though, I picked up the bottle and took a hard look at what I was buying. First off, it looks like the same bottle that Weller and Very Old Barton come in. I’ve seen other store brands made by Sazerac that use that same bottle so that was something. Second it is an 86 proof, straight bourbon with no age statement. So that means it is at least four years old. Seems ok so far. Made by Clear Spring Distilling Co. in Louisville. I admit this through me for a loop at first, but a quick search lead me to this: Clear Springs Distilling Company???. And then the COLA. Yep, it seems that Clear Springs is an assumed business name that Sazerac uses to make house brands. The bourbon at least stood a shot of being ok, so I picked it up. Unlike normal, immediately upon returning home I opened it and took a sniff straight from the top of the bottle. I was really leery of this one for some reason, maybe it was the name. It smelled ok, so I splashed a little in a glass and took a sip…and was shocked at how not terrible it was. Details: 43% ABV. Produced by at the Barton distillery by Sazerac. Nose: Caramel, vanilla, cinnamon gum, mint. Mouth: Starts with a nice spicy tingle that dances across my tongue. Cinnamon and cloves. Dry, with more than a touch of oak. Finish: Lingering tingle in the mouth, dry with mint and oak. Thoughts: Well, this certainly lives up to it’s name. I don’t care if Total Wine claims it is named for the municipal flag of Louisville, this seems to have been named with it’s mark of quality built in. 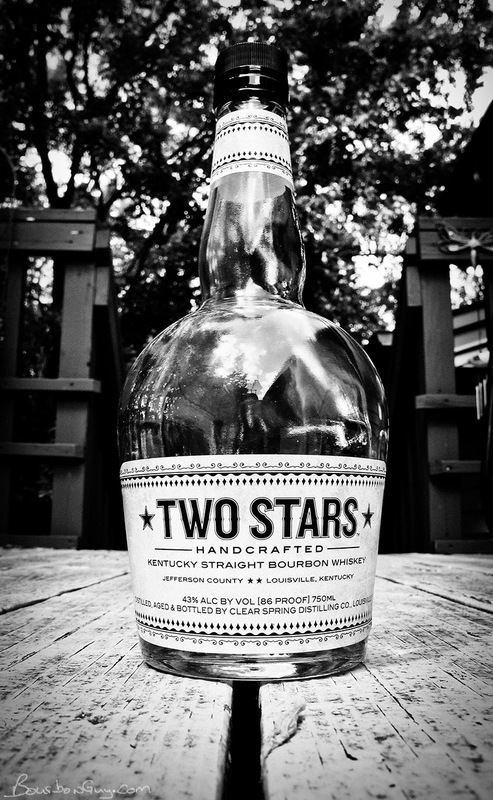 It is not a four-star bourbon. It is however a very solid two-star. It works well as a mixer and can even function neat in a pinch. It’s not a bad price either at less than $20 for a 750 mL. Overall, keeping all that in mind, I’d recommend giving this one a shot. You might like it and if the worst that happens is that you are left with a bottle to use for making cocktails, that isn’t so bad either. UPDATE: A previous version of this story incorrectly hypothesized that this bourbon might have been produced at Buffalo Trace. They have reached out to inform me that it is instead made at the company's Barton Distillery in Bardstown, KY. The story has been updated to reflect that change.